Hard-plate protection in a lighter, thinner package. The H-Shock Plate measures just over a half-inch thick, and weighs just 5.4 pounds…making it thinner and lighter than many comparable Level 3 hard plates, offering improved tactical mobility. The H-Shock Plate has been independent lab-tested (not N.I.J.-certified) to stop common rifle rounds. What does that mean for you? It means you get protection comparable to a Level 3 or Level 4 plate, but in a much thinner, lighter, less expensive package. 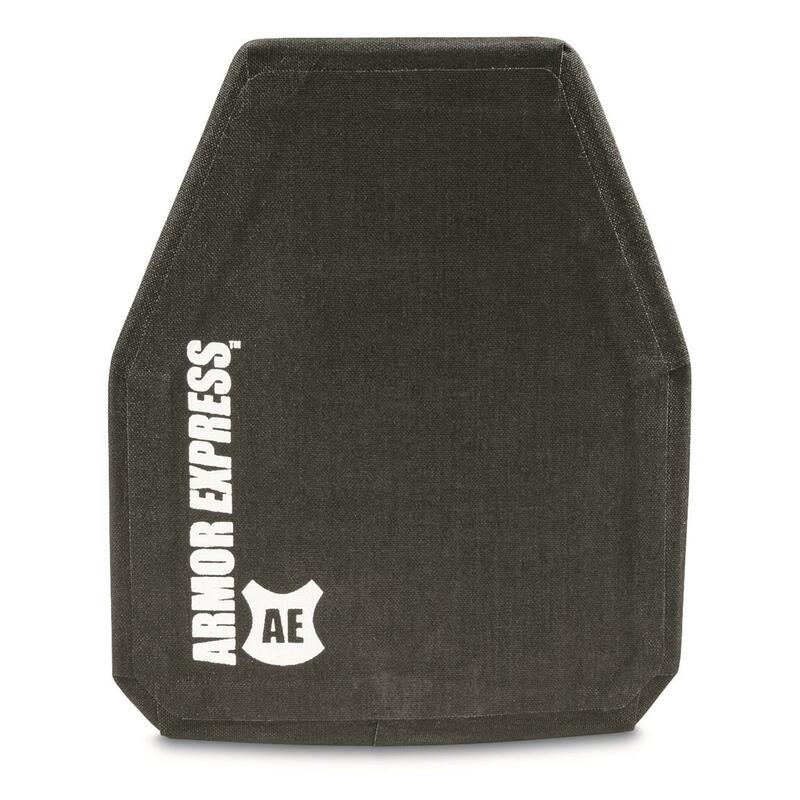 In 1971, Richard Davis — co-founder of Armor Express — invented soft body armor. To sell it, he did the unthinkable: he shot himself in the chest with a .44 Magnum revolver. It worked, and police officers nationwide bought his armor. 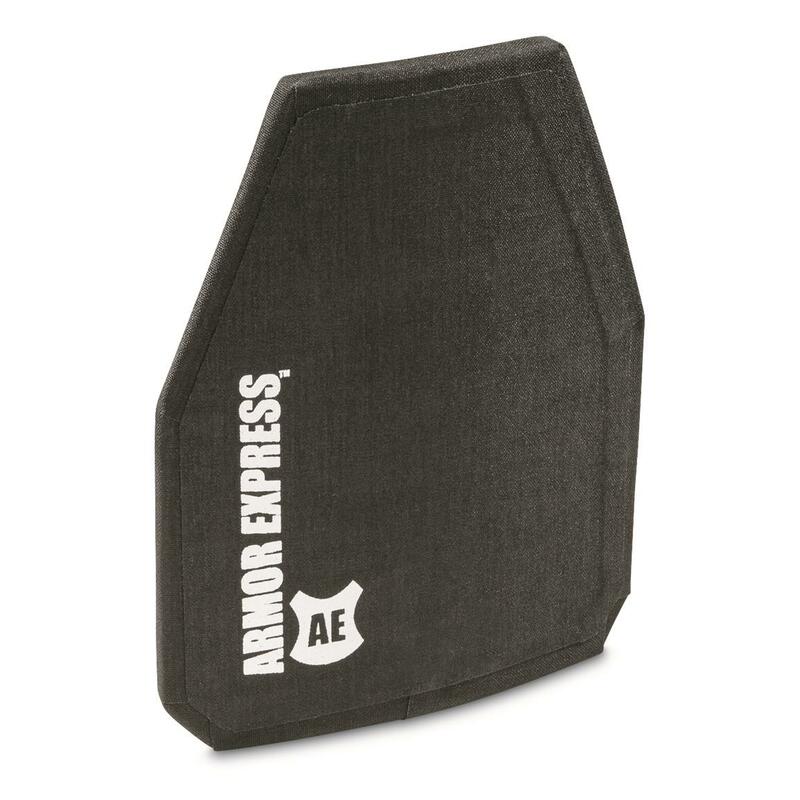 Now, the materials and technology have come a long way since the early 70s, but current Armor Express CEO Matt Davis sells it the same way his father did. They trust their product. And they want LEOs, firefighters, service providers, and anyone who needs added protection to trust it, too. 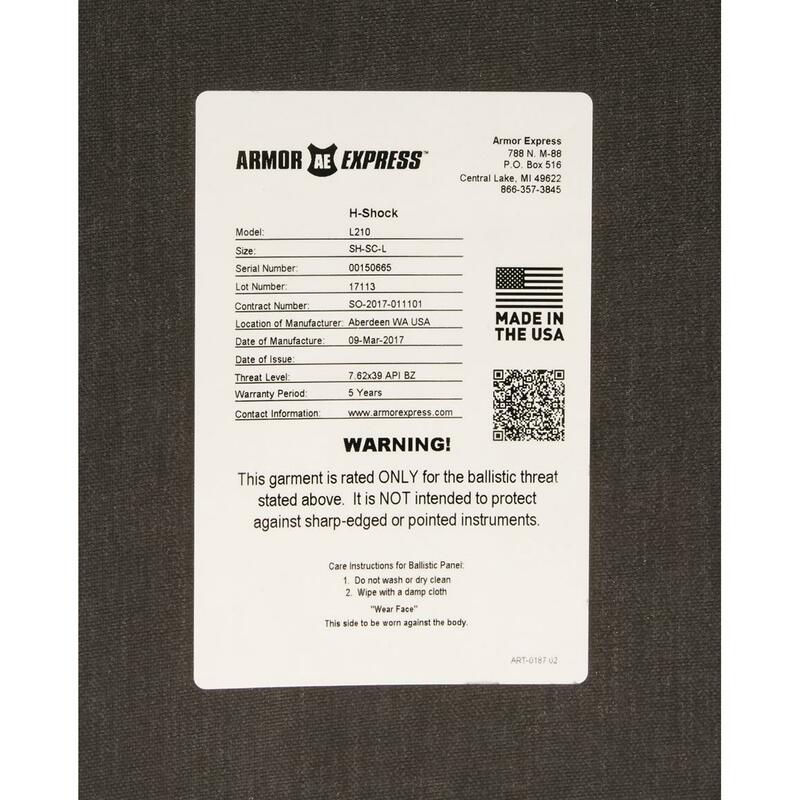 Headquartered in northern Michigan, Armor Express is committed to providing high-end products backed by the most technologically advanced manufacturing — and the very best people — in the industry. Every piece of hard and soft armor is tested extensively at Armor Express' Ballistics Research Laboratory, the most technologically advanced ballistics facility in the country, to beyond N.I.J. standards. 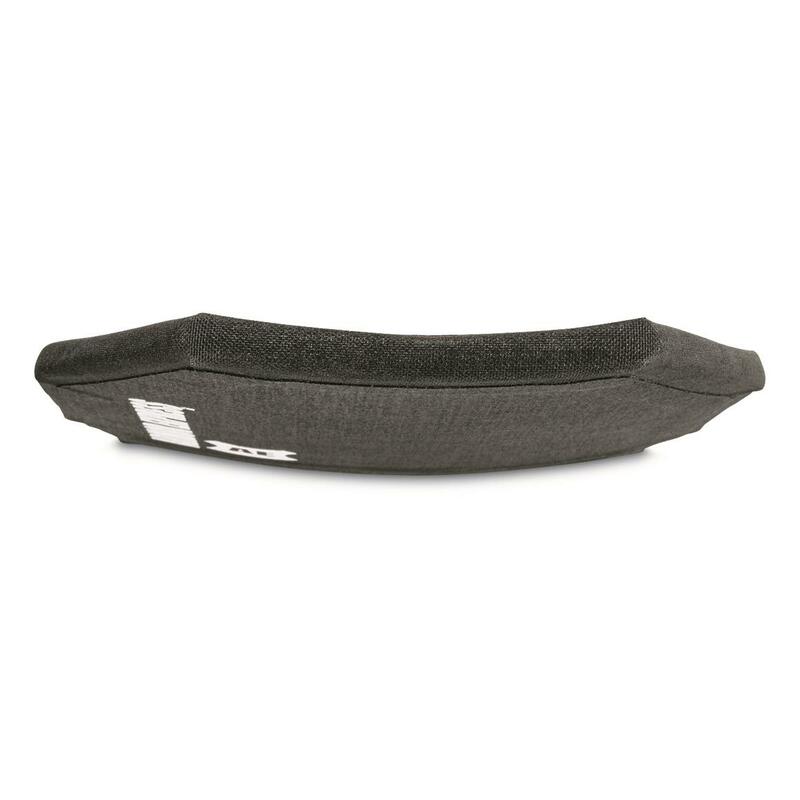 World-class protective capability in a comfortable, breathable package. 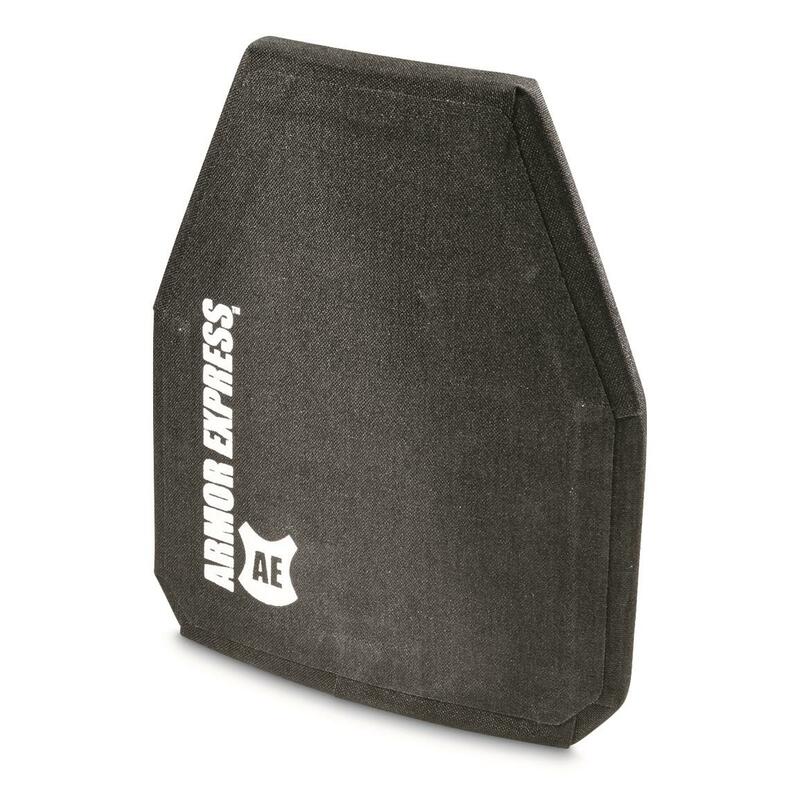 BlueStone Safety Level 4 Ballistic Backplate, 10 x 12"
Measures 10 x 12 x 0.75"
Stop a full-size rifle round.